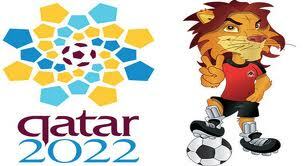 Winning the 2022 World Cup hosting rights has proven to be a mixed blessing for Qatar. The wealthy Gulf emirate, more than two years after world soccer body FIFA voted in Qatar’s favor, is under greater scrutiny than it ever has been and that it originally had bargained for. Qatar’s suitability as a host is being questioned, its labor system is under attack and some court decisions have earned it unfavorable publicity. Writing in Arabian Business as FIFA prepares at an executive committee meeting in October to move the dates of the Qatari World Cup from summer to winter because of the emirates’ extreme temperatures in June and July, Gay Wright raised the specter of the unprecedented: “What if Qatar loses the 2022 World Cup?” That may be less far-fetched than meets the eye given that the losers in the race for the 2022 Cup – the United States, South Korea, Japan and Australia – could initiate legal action demanding a new vote on the grounds that a change of dates constitutes a change of the terms of the bid. To be sure, the logic of granting Qatar the Cup made imminent sense. The Middle East and North Africa, a region where soccer has played a key role in national and social development since the late 19th century, has never hosted the world’s biggest sporting event. Much of the argument against Qatar amounts to sour grapes, unjustified arrogance, and bigotry. Debate about a change of dates has opened the door to renewed questions about the integrity of the bidding process at a time that FIFA has yet to convincingly argue that it has drawn lessons from the worst series of corruption scandals in its 108-year old history. Qatar plays into that in two ways: FIFA’s executive committee voted in favor of Qatar despite its experts having raised technical issues, including the question of summer temperatures that sore beyond the 40 degrees Celsius mark, and FIFA President Sepp Blatter’s own implicit admission that a FIFA investigation had been false when it concluded that Qatar had not engaged in vote swapping with Spain and Portugal, which were bidding jointly for the 2018 Cup. Blatter conceded in a BBC interview that there had been a vote swap agreement, but dismissed it because it had produced no advantage for either party. The incident constitutes the only confirmed case of potential wrongdoing but says more about FIFA’s concepts of integrity and upholding rules and regulations than about Qatar. This is true for much of the other suspicions that have been expressed about Qatar’s bid, including possible incentives offered to national soccer federations represented on the FIFA executive committee as well as the fact that the Gulf state allocated a significantly larger budget to its bid campaign compared to its competitors. All of that may raise ethical issues, but only goes to demonstrate that FIFA’s bid rules have gaps in it similar to Emmenthaler cheese and a political deal with former French President Nicolas Sarkozy that led to Michel Platini, head of European soccer body UEFA, voting in favor of the Qatari bid. If most countries bid for mega sporting events as country branding exercises and potential boosts to their economy, for Qatar the cost-benefit analysis in allocating funds was one that went to its core defense and security concerns. Qatar, no matter how many sophisticated weapons it purchases, will never be able to defend itself. The 1990 Iraqi invasion of Kuwait taught it two lessons: big brother Saudi Arabia, unable to defend itself, is an unreliable guarantor. Confidence in the reliability of the United States has since also been called into question. The international coalition that came to Kuwait’s aid demonstrated that soft power and embedment into the global community at multiple levels earns one friends when in need. Qatar’s soft power is vested in sports and particularly soccer. The ability to wield that soft power is proving to be more complex than Qataris expected. The sour grapes stemming from Qatar’s financial muscle, the arrogance of large nations seeking to delegitimize it on the grounds of it being tiny in population and territory, and anti-Arab and anti-Muslim prejudice threw up unexpected obstacles. So did the fact that the winning of the World Cup exposed Qatar to greater international scrutiny than ever before and made it more vulnerable to criticism by rights activists. The silver lining is that like the World Cup that imposes a timeline on Qatar’s massive infrastructure projects, it potentially offers the Gulf nation a straightjacket for inevitable social reforms. Conditions for migrant labor that accounts for the majority of Qatar’s population has topped the agenda of activists with international trade unions and human rights groups threatening a boycott of the World Cup and pressuring international infrastructure contractors to adopt global standards. The issue is more than simply capitalist exploitation or what the International Trade Union Confederation (ITUC) terms modern slavery. To Qataris, it is existential raising fundamental question about the nature, culture and identity of a society that is theirs but in which they constitute only 15 percent of the population. Ironically, Qatari leaders see sports as one way to strengthen national identity. Nevertheless, the fact that the cost of maintaining an exploitative labor system and building walls between population groups goes beyond reputational damage was laid bare in a recent study by researchers of Weill Cornell Medical College in Qatar published in Perspectives on Public Health. Their research concluded that Qatar would be near the top of the United Nation’s Human Development Index (HDI) if adjustments were made for the country’s large population of migrant workers. That conclusion cuts to the core of Qatar’s soft power effort to project itself as a cutting edge, 21st century knowledge-based society. Similarly, a string of recent court cases and labor disputes have cast a shadow over Qatar’s effort. Representatives of Asian American couple Matthew and Grace Huang imprisoned on charges of having murdered one of their three adopted black children argue that theirs is a “case of faulty science and what appears to be racial and cultural misunderstandings by the Qatari officials about American norms regarding international adoptions and homeschooling. The Qatari officials have to date refused to acknowledge that mistakes were made and the Huangs have been imprisoned in Qatar for nearly six months,” said Alex Jakubowski of Capitol Media Partners. The Huangs moved to Qatar so that Matthew could work on a World Cup-related infrastructure project. An investigation of the sudden death of their daughter Gloria of an eating disorder possibly due to malnutrition because of poverty before her adoption raised the Qatari authorities’ suspicion. “The police investigating Gloria’s death found the family situation inherently suspicious. For example, the investigative police reports repeatedly suggest that Matthew and Grace could not have had a legitimate reason to adopt children who were not ‘good-looking’ and who did not share their ‘hereditary traits. ’The investigative reports theorize that Matthew and Grace ‘bought’ their children in order to harvest their organs, or perhaps to perform medical experiments on them … It appears they did not know that adoptions of children from other countries and other racial backgrounds is common in the United States.,” Mr. Jakubowski said. Earlier this year, employment-related complaints by two international players, one of whom was barred from leaving Qatar, threatened to overshadow the 2022 World Cup organizing committee’s release of a charter of worker’s rights designed to fend off criticism of labor conditions. In separate interviews French-Algerian player Zahir Belounis, who was locked into a salary dispute with Al Jaish SC, the club owned by the Qatari military, and Moroccan international Abdessalam Ouadoo, who left Qatar last November to join AS Nancy-Lorraine, complained about failure to honor their contracts and pay their salaries as well as ill treatment. The legal issues play into the hands of Qatar’s distractors. Like with the criticism of Qatar’s labor conditions, the ball is in the Qatari court. It can adopt a defensive position seeking to counter the criticism or introduce reforms that would benefit its far more existential goal: embedment in the international community as a nation that is forging its own path in the 21st century as a forward-looking, knowledge-based, equitable model in one of the most volatile parts of the world. James M. Dorsey is a senior fellow at the S. Rajaratnam School of International Studies, co-director of the University of Würzburg’s Institute for Fan Culture, and the author of The Turbulent World of Middle East Soccer blog. Turkish Prime Minister Recep Tayyip Erdogan’s government has announced a series of measures to prevent soccer stadiums and university campuses from becoming major protest venues as the football season and the academic year begins. In doing so, Mr. Erdogan is taking a leaf out of the playbook of Egyptian military strongman Gen. Abdel Fattah Al-Sisi and other Arab autocrats who demonize their opponents as terrorists. In a series of recent statements aimed at students and militant soccer fans who played prominent roles in the mass Gezi Park protests in June, the government said it intended to replace private security forces in stadiums and on campuses with police forces; was banning the chanting of political slogans during soccer matches; obliging clubs to force spectators to sign a pledge to abide by the ban before attending a game; and was cancelling scholarships for students who had participated in anti-government protests. The government said plainclothes policemen would mingle with militant fans during matches and that their activities on social media would be monitored. It also restricted the consumption of alcohol in stadiums. The announcements were accompanied by stark statements by Mr. Erdogan, his deputy Bulent Arinc and his sports minister Suat Kilic as well as a video issued by the Anti-Terrorism Office and the police warning that protests were the first step towards terrorism. The 55-second video featuring a young woman demonstrator-turned suicide bomber warned the public that “our youth, who are the guarantors of our future, can start with small demonstrations of resistance that appear to be innocent, and after a short period of time, can engage without a blink in actions that may take the lives of dozens of innocent people.” Throughout the video, the words ‘before it is too late’ are displayed. The video followed the indictment of 20 members of Carsi, the support group of storied Istanbul club Besiktas JK that has a huge following across the country on charges of belonging to an illegal organization. Carsi played a leading role in the mass anti-government protests in June sparked by a brutal police crackdown on environmentalists protesting plans to bulldoze Gezi Park on Istanbul’s iconic Taksim Square to make place for a mall. Carsi joined forces in the protests with supporters of Beskitas’ two Istanbul arch rivals, Fenerbahce FC and Galatasaray FC. The government measures are part of a battle in Turkey for public space. With the banning in early July of protests on Taksim, protests moved to neighborhood parks across the city. In Besiktas, Abbasaga Park statues of prominent Turkish politicians, journalists and authors wearing gas masks looked down on Hyde Park-style nightly gatherings. “Taksim is everywhere, resistance is everywhere,” was the motto of the nightly meetings. The underlying tone was one that resembled the breaking of the Arab world’s barrier of fear. United in a desire for greater freedom, protesters from diverse worldviews and walks of life displayed with chants, jokes and art a humor-laced irreverence of power. Carsi members wearing their club’s black-and-white often moderated the deliberations. They insisted that their sole ideology was opposition to repression and inequality, quoting the group’s slogan, ‘Carsi, her şeye karşı!’ (Carsi is against everything!). Carsi’s claiming of Abbasaga Park like the protesters’ requester of parks elsewhere constituted a rebuke of the city government’s definition of who was entitled to enjoy the public spaces. At a ceremony to mark the reopening of Gezi Park in early July Istanbul governor Huseyin Avnni Mutlu warned that protests would not be allowed. “We invite our folks, our people, our children, the elderly and families to visit the park,” Mr. Mutlu said. His implicit message was that families were the unit in society entitled to claim public space, not sub-groups like gays who had frequently gathered in the park prior to the protests. “If certain groups claim to be the public and argue that ‘This park belongs to us, we’re the owners of this park,’ we will not allow that,” Mr. Mutlu said. The minister had a similar message for students. “They can try Gezi protests in universities. People should not ruin their lives, should not have criminal records,” he said in an ironic twist given that Turkey with its history of military coups and the Erdogan government’s crackdown on the media has scores of intellectuals and journalists with police records. Among those is Mr. Erdogan himself, who spent four months in prison for reciting a controversial poem. Journalist Burak Bekdil reported that Şamil Tayyar, a member of parliament for Mr. Erdogan’s ruling Justice and Development Party (AKP), suggested that the government punish Besiktas if its fan disobey the ban on political slogans by seizing its stadium and turning it into a park. Alternatively, Mr. Bekdil said the government could follow rent-a-fan model of the late North Korean dictator Kim Jong-Il. Mr. Kim paid Chinese actors to attend North Korean games during the 2010 World Cup in South Africa. “Mr. Kim was right. When you cannot win hearts and minds you can always rent them," Mr. Bekdil wrote. Turkey’s battle lines are being drawn in various ways. Mr. Erdogan broke into tears last week during a television interview as a video was aired with the text of a letter that incarcerated Egyptian Muslim Brotherhood leader Mohammed el-Beltagy wrote to his 17-year old daughter who was killed on Cairo’s Raba’a al Adawiya Square when security forces broke up the group’s sit-ins earlier this month. “I believe you have been loyal to your commitment to God, and He has been to you. Otherwise, He would not have called you to His presence before me,” Mr. El-Beltagy, who was unable to attend h daughter’s funeral, wrote. Mr. Erdogan said it reminded him of his own children who complained that he did not have time to spend with them. To be sure, many Turks share the sentiments of Mr. Erdogan who has emerged as one of the fiercest critics of the Egyptian military’s coup and crackdown. Like the prime minister, international midfielder and national soccer captain Emre Belozoglu showed the four finger Raba’a salute that has become symbolic of Raba’a al Adawiya Square after he scored for Fenerbahce in their opening game of the season. Mr. Erdogan failed however to express similar emotion for Ali Ismail Korkmaz, a protester in Eskisehir who was badly beaten on June 2 by men claiming to be cooperating with the police and was kicked several times in the head by a policeman. Mr. Korkmaz died on July 8 of a cerebral hemorrhage. His ordeal was documented in a video disclosed by Radikal newspaper. The government’s tough language follows indications that its hard-handed attempts to fend off further protests are failing. If anything, they may well be fuelling them. Fans of Fenerbahce reminded the government that the battle was not over and may have just begun when they chanted “Everywhere Is Taksim Square! Everywhere Is Resistance!” and demanded Mr. Erdogan’s resignation during a match against Red Bull Salzburg. Supporters of Ankara’s Gencerbigli FC sought to circumvent the ban by chanting ‘Political Slogan’ during a recent match. In another twist of irony, the government fears that the one Istanbul stadium named after Mr. Erdogan could become a focal point of protest. That is where Besiktas is playing its home games during the coming season while its own pitch is being renovated. The issue is not purely symbolic. Municipal elections in Istanbul next March are gearing up to be a litmus test for Mr. Erdogan’s ambitions to swap the prime ministry for the presidency after the next parliamentary election. “If Erdogan loses Istanbul, his power base could begin to unravel. That is why he is turning stadiums into police states. Sports has become a major battlefield. Besiktas is where it is being fought out. Erdogan is pitting Besiktas chairman Fikret Orman against Carsi who voted him into office. It’s the same strategy he used with the media exploiting their financial vulnerability,” said a prominent political analyst. Activists have stepped up calls for a boycott of the 2022 World Cup if Qatar fails to bring conditions for its majority foreign work force in line with international labor standards. The campaign seeks to exploit potential Qatari vulnerability at a time that world soccer body FIFA gears up to decide whether to move the first World Cup to be held in the Middle East and North Africa from summer to winter. In a strengthening of the boycott campaign waged since Qatar was awarded World Cup hosting rights in late 2010 by the International Trade Union Confederation (ITUC), which has 175 million members in 153 countries, Anti-Slavery International this week declared its support for shunning the wealthy Gulf state. “It would be a dreadful pity and an enormous shame on all of us if we are prepared to participate in a world cup that has been brought to us by slavery,” said Aidan McQuade, the group’s director. ITUC secretary general Sharan Burrow said her organization was pressuring major companies from the United States, Britain, France and Brazil that were likely to win contracts for $75 billion worth of World Cup-related projects that include stadiums, rail and subway networks, hotels, and a new city that would house 200,000 people to incorporate workers’ rights in their bids. Foreign workers account for 94 percent of Qatar’s work force. “It is awkward for Western countries who are promoting their businesses in the Gulf to talk about the rights of migrant workers who may be employed by westerners. There has to be a discussion about this,” said an Amnesty International spokesman, James Lynch. Anti-Slavery International joined the boycott campaign as the number of deaths of unskilled or semi-skilled workers in Qatar appeared to be on the rise. It also came as FIFA was gearing up for an executive committee meeting in October that would decide whether to move the 2022 tournament to the winter months because of Qatar’s overbearing summer temperature. The potential move has sparked calls for the Cup to be moved to another country. The embassy of Nepal in Doha, whose nationals figure prominently in the construction sector that has been boosted by vast infrastructure projects, many of which are World Cup related, reported last month the highest spike so far in the number of deaths of Nepalese laborers. Of the 32 who perished in July, 13 workers in their 20s died of a cardiovascular disease; 11 others were killed in road incidents and another eight in work-related accidents, the embassy’s second secretary, Harihar Kant Proudel, told Doha News. Mr. Proudel’s assertions stroked with conclusions of a recent study in the Journal of Arabian Studies that listed late wages, significant debts accrued to pay labor brokers, and inconsistent access to healthcare as common problems encountered by foreign workers in Qatar. Funded by the Qatar National Research Fund, the study, entitled APortrait of Low-Income Migrants in Contemporary Qatar, said that 56 percent of the workers interviewed reported not having received a government-mandated Hamad health card, needed to access free healthcare. Qatar University meanwhile reported that the vast majority of employers in Qatar illegally confiscated workers’ passport at the outset of their employment. The issue of workers’ rights touches on one of Qatar’s most existential issues: demography. Qataris account for approximately 15 percent of their country’s population. A recent report by the Doha-based Arab Center for Research & Policy Studies, ‘Foreign Labor and Questions of Identity in the Arabian Gulf,’ concluded that fears that any degree of integration of foreigners would threaten family-run Qatar’s political, cultural and social identity made change unlikely. “The issues touches upon the essence of the question of the transition towards a ‘citizenship society. … In the absence of the establishment of a modern state based on the bond of citizenship, justice, the rule of law, and equal opportunity among all components of society, it is extremely difficult to assimilate immigrants. … The Gulf countries, due to the delay in the construction of the modern state on the institutional, legal and constitutional levels, have extreme difficulties integrating the population of their home societies – let alone assimilating immigrants,” the report said. With soccer playing an increasingly important political role in both Turkey and Indonesia, this essay seeks to highlight similarities in the politics of soccer in two parts of the world that share cultural and political traits but are geographically distant from one another. With Egypt deeply polarized politically and religiously, kick-starting a political process capable of bridging divides and creating an inclusive democratic process seems a distant prospect. It will ultimately depend on the likely shrinking over time of the military's popular base and the government's realization that it needs the United States and the European Union to tackle the country's vast economic problems. Amid entrenched political battle lines that have been reinforced by a brutal security force crackdown on supporters of ousted President Mohammed Morsi, Egyptians would do well to look at past events in the Philippines as well as the last 2.5 years of their own history. Military support for a popular uprising forced elected Philippine President Joseph Estrada out of office twelve years ago. Nine subsequent years of corrupt government by Mr. Estrada's successor, Gloria Arroyo, have since persuaded many to rethink their original backing for the undemocratic way the president was ousted. Egypt has a long way to go before liberals and revolutionaries realize that they made a pact with the devil by joining forces with the military, the security forces and supporters of ousted autocrat Hosni Mubarak to topple Morsi, the country's first democratically-elected president. The resignation of Mohammed el Baradei and charging of the liberal former international civil servant and Nobel Prize winner as vice-president in Egypt's military-appointed government in protest against the bloody break-up of Muslim Brotherhood's protests constitutes the first crack in popular support for the coup against Morsi. It is an initial, very tentative step down the Philippines' trodden path. Mr. El Baradei complained in his resignation letter that "the beneficiaries of what happened today (the break-up of the Brotherhood protests) are those who call for violence, terrorism and the most extreme groups". It took many Filipinos years to privately realize that the unconstitutional ousting of a democratically elected president had not solved their problems; the odds are it will take Egyptians a significant amount of time to follow suit. Six weeks of political strife with opposing political forces in Cairo protesting on highly symbolized rival squares have entrenched deep-seated distrust between multiple groups in society and institutions. It has pitted the left, the secularists and the Christian Copts against Islamists and rural Sunni Muslim Egypt, and significant portions of the population that are likely to increase in numbers against the military as well as the security forces. The political fault lines have for now allowed the military, the security forces and the Mubarak leftovers to exploit popular support to return Egypt in many ways to the era of Mr. Mubarak, who was toppled in 2011 by an alliance of leftists, secularists and Islamists. The interests of the alliance coincided with those of the military that was keen on preventing Mr. Mubarak from installing his son Gamal, who was surrounded by businessmen who posed a threat to the economic and commercial interests of the armed forces, as his successor. That alliance produced 17 months of failed military rule followed by the rise of Mr. Morsi, whose one-year tenure was marked by incompetence, economic failure, arrogance and autocratic and majoritarian tendencies. The military this time round successfully exploited popular anti-Brotherhood sentiment to achieve public acceptance of repressive policies, the revival of the coercive state and a prevalence for security rather than political solutions for political problems. It did so through a combination of demonization of the Brotherhood as a terrorist organization reinforced by a campaign in dominant media that were either state-owned or co-opted. To be sure, the military despite its hard handedness and single-minded determination to secure its perks, privileges and role as the ultimate political arbiter has consistently enjoyed the confidence of a majority of Egyptians for years. Nevertheless, its agenda in recent months has been to cut the Brotherhood down to size, if not destroy it, at the risk of ever deeper polarization of Egyptian society and civil disobedience or political violence that would be brutally suppressed. 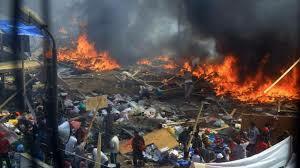 The declaration of emergency law and a curfew in 14 Egyptian provinces has further set the stage. The security forces, eager to take revenge for their humiliation in the post-Mubarak era when they emerged as Egypt’s most despised institution, have proven that they are happy to oblige. The military and the government, its civilian façade, went out of its way since Mr. Morsi’s ouster to ensure that the Brotherhood would not engage in any political process despite its insistence that there was a place at the table for the group. The Brotherhood had little reason to take the military by its word with many of its leaders, including its spiritual guide and Mr. Morsi, in prison awaiting trial; others being sought by security forces; its media outlets shut down; a campaign in state-run media as well as media associated with the anti-Morsi campaign designed to demonize the Brotherhood; the targeting of Brotherhood-related businesses; and finally the deaths of hundreds in the break-up of pro-Morsi protests. Efforts by the United States, the European Union and Gulf states were thwarted when the military in contrast to the Brotherhood rejected a compromise formula that would have allowed both parties to save face and would have averted this week’s bloodshed. "We had a political plan that was on the table that had been accepted by the other side (the Muslim Brotherhood). They could have taken this option. So all that has happened today was unnecessary," Reuters news agency quoted said EU envoy Bernardino Leon, who co-led the mediation effort with U.S. Deputy Secretary of State William Burns. The compromise would have involved the release of imprisoned Muslim Brothers, an honorable exit from the presidency for Mr. Morsi, an amended constitution and new elections. The failed mediation effort served the military as a fig leaf that allowed it to suggest that it had attempted to secure a political solution before it cracked down. The turmoil in recent weeks in Egypt has proven that Egypt’s Western allies and even the United Arab Emirates, a staunchly anti-Morsi Gulf state that has funded the post-Morsi government and worked with the US and the EU to find a political solution, have at this point, at best, limited leverage. That is likely to change once the military and its government recognizes that they need the support of the international community to secure a crucial International Monetary Fund loan as well as Western aid. In the short term, Gulf funding will allow the government to fund its operations. Gulf money however is a Band-Aid that will not enable the government to tackle Egypt’s structural problems. The need for international support is likely to be enhanced once the military’s popular cover disintegrates. The United States and the European Union have so far shied away from calling a spade a spade. While they have condemned the violence and called for dialogue, they have refused to define the military ousting of an elected president as a coup. In the absence of any real leverage, doing so, including in the United States accepting the legal requirement of a cut-off of $1.5 billion a year primarily in military aid, would enhance Western leverage when Egypt turns to them for help. That leverage could enable Western nations to help Egypt when it is ready to cut short a path that post-Mubarak Egypt has been traveling for the past 2.5 years and that took the Philippines more than a decade to learn. James M. Dorsey is a senior fellow at the S. Rajaratnam School of International Studies as Nanyang Technological University in Singapore, co-director of the Institute of Fan Culture of the University of Würzburg and the author of the blog, The Turbulent World of Middle East Soccer. A soccer brawl last year in which more than 70 militant soccer fans died galvanized significant numbers of Egyptians against the military and security forces. The brawl accelerated the military’s desire to turn power over to an elected government. Eighteen months later, mass protests, involving Muslim Brothers, non-Brothers and militant, street battle-hardened soccer fans are opposing the military ouster of elected president Mohammed Morsi and the subsequent brutal crackdown on the Brotherhood, both of which were backed by a significant segment of Egyptian society. The ingrained resistance to military rule and arbitrary security forces of many soccer fans and the youth groups that formed the backbone of the popular uprising that forced President Hosni Mubarak out of office in early 2011 is again visible in more than the fact that it has been adopted by a far wider part of the Egyptian public. It has been reinforced by what many Egyptians perceive to be a restoration of repressive features of the Mubarak era. Events in recent days have demonstrated that while Egypt remains deeply divided public opinion is fluid and that backing for the military coup against Mr. Morsi is fragile and conditional. The first cracks in that support have manifested themselves despite a significant number of Egyptians egging the military and the security forces on to be even tougher in their crackdown on the Muslim Brotherhood. In quick succession, various prominent supporters of the coup have resigned or sought to distance themselves from the brutality of the crackdown that as of this writing has caused the death of more than 700 people. Mohammed el Baradei, an international civil servant and Nobel Peace Prize laureate, resigned as vice-president of the military-appointed government that succeeded Mr. Morsi because in his words "the beneficiaries of what happened … are those who call for violence, terrorism and the most extreme groups". Khaled Dawoud, spokesman of the National Salvation Front, an umbrella for 11 pro-military political parties, stepped down days later because a majority of the Front refused to condemn the bloodshed at the hands of the security forces. His successor, Ahmed Howari, in one of his first public statements was careful to balance his remarks with expressions of sincere regret about the way security forces were seeking to repress the opposition to the military. The impact of the fans goes further than the fact that their anti-military attitudes have gained greater currency because of qualms about military disruption of a democratic process, even if Mr. Morsi had succeeded in becoming widely reviled after only a year in office, and security force brutality that was one of the main drivers of Mr. Mubarak’s ousting. It is also evident in various forms of pro-Morsi protest, including the jumping up and down while chanting, a typical way for militant soccer fans or ultras to support their club, and the waving of flags with a skull and crossbones emblem. By the same token, Egypt’s deep polarization as well as the crisis in Egyptian soccer that was accelerated by last year’s deadly brawl in Port Said has not left the militant soccer fans untouched. While the ultras as organizations have refrained from joining the fray, many of their members and leaders have, reflecting the gamut of political views in their ranks. Ironically, many Ultras White Knights, the fan group of storied Cairo club Al Zamalek SC, which traces its root to support of the monarchy that was toppled by a military coup in 1952 and replaced by Arab nationalist leader Gamal Abdel Nasser, an army colonel, who became the club’s president and brutally repressed the Brotherhood, have joined the pro-Morsi protests. The Black Bloc, the vigilante group that emerged last year to defend anti-Morsi protesters against both the security forces and Brotherhood attackers are believed to be siding with the police in the crackdown on the Brotherhood. 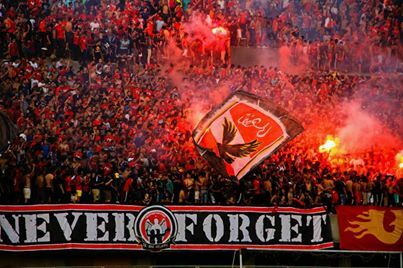 The UWK’s arch rivals, Ultras Ahlawy, the fan group of Al Ahli SC, historically the nationalist club, this week issued its first anti-Brotherhood statement. The statement ended the group’s silence with regard to the government while Mr. Morsi was in office. By refraining from attacking the government, the group had hoped that harsh verdicts would be served in the trial of those responsible for the deaths in Port Said. It got only partial satisfaction. While 21 supporters of Port Said’s Al Masri SC club were sentenced to death, seven of the nine security officials were acquitted. “The ultras have become fascists. Like Egypt, they have collapsed. They have no values and no real beliefs,” said a former ultras leader who left his group in disgust at the political turn it had taken. In a perverse way, the ultras’ dilemma is not dissimilar from that of the Brotherhood. Neither could decide what it really was. The Brotherhood has yet to make up its mind what it is: a social or a political movement. That decision may become easier if it survives the current crackdown and potentially emerges strong enough to negotiate terms of a political solution to Egypt’s crisis. The ultras refused to acknowledge that they were as much about politics as they were about soccer. Their battle for freedom in the stadiums and their prominent role in the toppling of Mr. Mubarak, the opposition to the military rulers that succeeded him and the Morsi government made them political by definition. Yet, those who populated their rank and file were united in their support for their club and their deep-seated animosity towards the security forces but on nothing else. The ultras’ fate could change if Egypt continues down the road it has embarked on of a restoration of Mr. Mubarak’s police state. Repression with little more than a democratic facade could again turn stadium into political battlefields against military and security force control whether overt or behind-the scenes; brutal and unaccountable security forces; and autocratic government masked by hollowed out democratic institutions. “I’m afraid of the return of the military state. That is not what I fought for in the stadiums and on Tahrir Square. I’m also afraid of the Brotherhood. It’s a choice between two evils. If you ask me now, I’d opt for the military, but that could well change once this is all over,” the former ultra said. mass pro-Morsi demonstrations in Cairo. Morsi, Egypt’s first democratically elected president. politician with close ties to the Mubarak regime and the military. brutality by security forces and restrictions on freedoms as a ‘struggle against terrorism’. Abedeine Ben Ali and Yemen’s Ali Abdullah Saleh to justify their repressive policies. doorstep, which it accuses of fostering terrorism and interfering in the island’s domestic affairs. violence stemming from mounting frustration and despair. which the military has sought to link to the Brotherhood without providing any evidence. peaceful protests against the military intervention. and the silencing of dissent, know that you are on the wrong side of history." camp of those seeking to stymie political change.